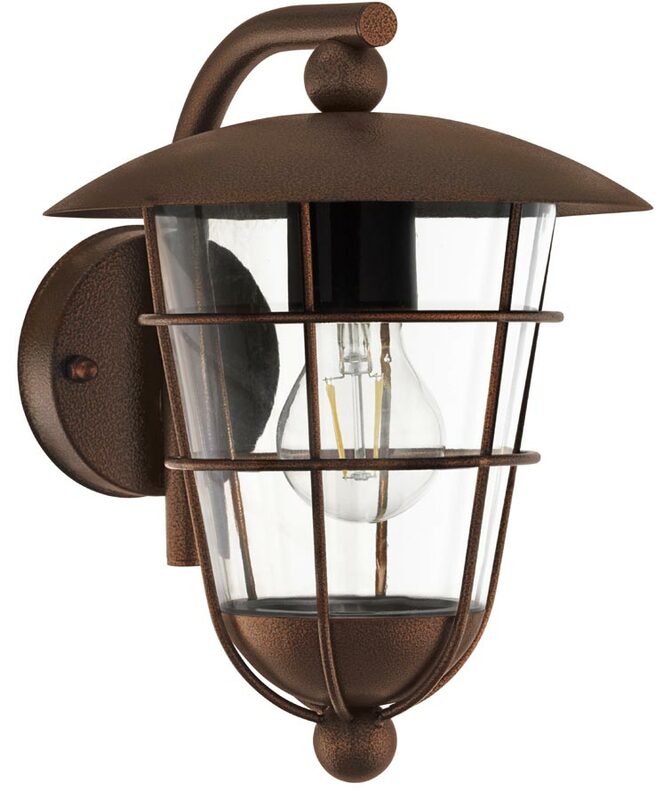 The Pulfero 1 traditional brown finish downward facing outdoor wall lantern is rated IP44 and features a transparent shade within a protective wire cage. Circular wall mount and short arm supporting a traditionally styled downward facing lantern finished in brown. The lantern features a domed lid and finial, tapered circular lantern with a clear polycarbonate shade and protective wire cage. Constructed from hot galvanised steel and polycarbonate, this is a tough outside light that will give many years of service. There are matching fittings in the brown finish Pulfero 1 lighting range, please scroll down to view.